Our Bacon-Wrapped Filets are a tantalizing taste combination. 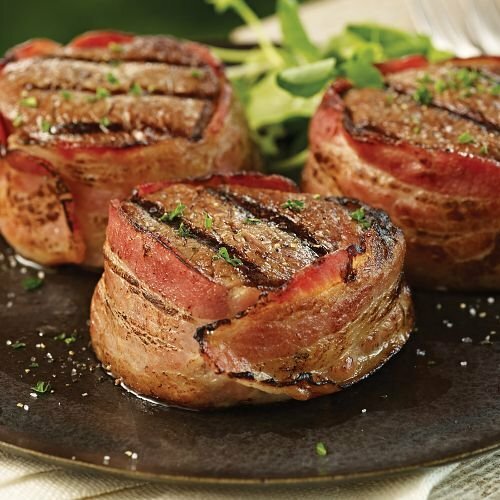 Juicy, tender Omaha Steaks Filet Mignon wrapped in a savory strip of bacon. Removable metal skewers hold bacon in place during cooking. INGREDIENTS: Bacon Cured with: Water, Salt, Sugar, Sodium Phosphate, Sodium Erythorbate, Sodium Nitrite.